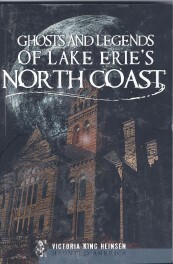 The residents of Lake Erie’s North Coast have trouble leaving—even after they die. The area is flooded with the spirits of locals, some friendly, some not. See the sorrowful eyes of the Hauntingly Beautiful High School Student, who floats the corridors looking for her lost boyfriend, and head to an old Port Clinton hotel to watch the ghost of a maintenance man wander haphazardly through the inn, making routine repairs. 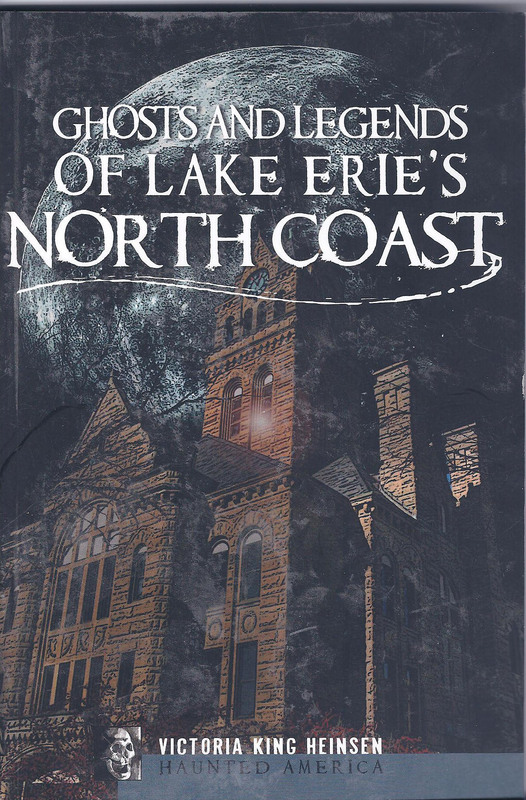 Read about the figure that lurks in the clock of the Port Clinton Courthouse every night, never moving, simply watching, until disappearing with the sun. Local ghost tour guide Victoria King Heinsen has a personal connection with every story. Some of the sites spotlighted are: The Island House, Port Clinton fisheries, Catawba Island, Mon Ami, Put-In-Bay, Kelley’s Island, The Lake Erie Triangle, Marblehead, Danbury Township, The Surf Motel, The Victorian Inn, East Harbor State Park, Johnson’s Island, Portage Township, Bay Township, Fremont, Spiegel Grove, The author runs the Marshall Inn B&B in Port Clinton and conducts ghost walks there. Her writing shows the tour guide’s dramatic flair!